Environmental DNA, or eDNA, had a moment in the limelight around 2010, when through the use of this monitoring tool, researchers found evidence of Asian carp in Chicago waterways past the electric barrier installed to stop these fish, and within range of Lake Michigan. This news, along with several captures of Asian carp in local waters, alerted resource managers and other decision makers to the status of these fish that pose a threat to the Great Lakes. Environmental DNA is detected in traces of shed skin, hair, mucus and waste, for example, that an organism leaves behind in its surroundings. This monitoring tool was initially used to survey microorganism biodiversity and to sample ancient DNA in soil or ice cores. 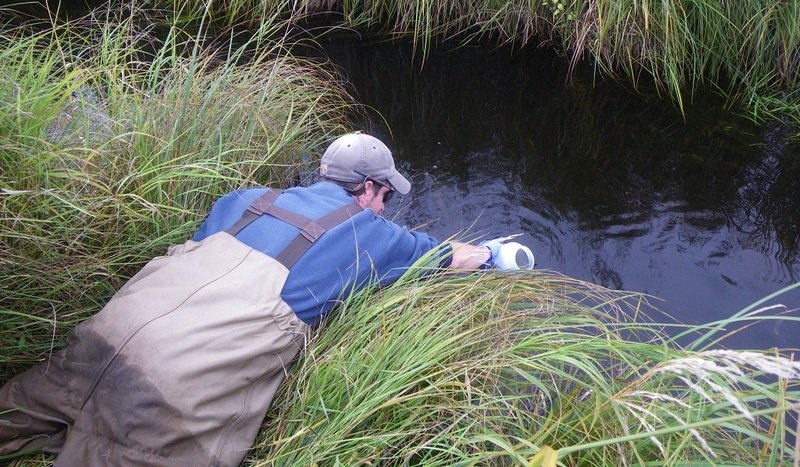 In the past decade or more, eDNA sampling has been used in lakes and rivers to check for the presence or absence of a species as well as quantifying how many species are found in the waterway. “Through the newest method, eDNA metabarcoding, we can identify the presence of all fish species inhabiting a body of water,” said Nathan Evans, a postdoc at Florida International University. With Illinois-Indiana Sea Grant funding, Evans, while a graduate student at the University of Notre Dame, assessed the effectiveness of eDNA for conservation management through a literature review of related studies. He found that eDNA sampling has some advantages over traditional sampling, which include netting fish, electrofishing, or doing visual surveys. These methods are effort intensive and typically have low detection probabilities for rare species, meaning that there is a smaller chance that these less abundant species will show up in sampling. 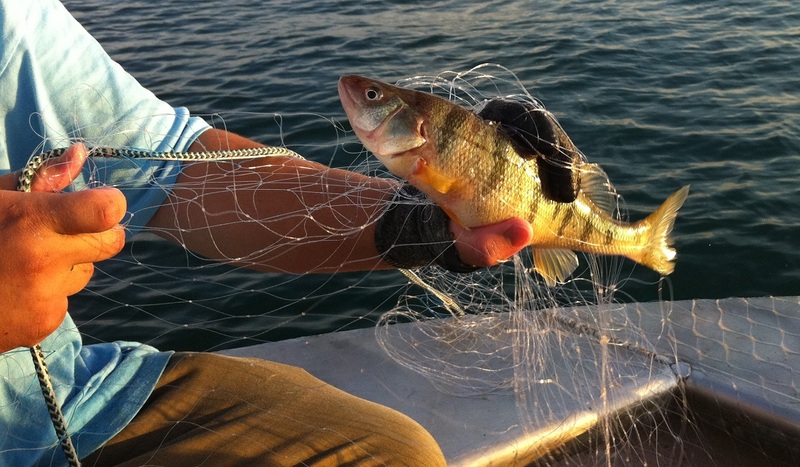 Through traditional sampling, researchers can gather information about the status of yellow perch in Great Lakes waters. As part of Gary Lamberti’s lab at Notre Dame, Evans also engaged in field research on the costs and effectiveness of using eDNA to sample water bodies. Currently, eDNA is more costly than traditional sampling, but is more effort efficient—it provides a more thorough sample of a system with less effort. This literature review is published in the January 2018 issue of Fisheries Research.